These days, modern homes are the trend. With that, many modern themed items came out from furniture to accessories – from decorations to interior designs. Of course, our home’s exterior will never be left out. 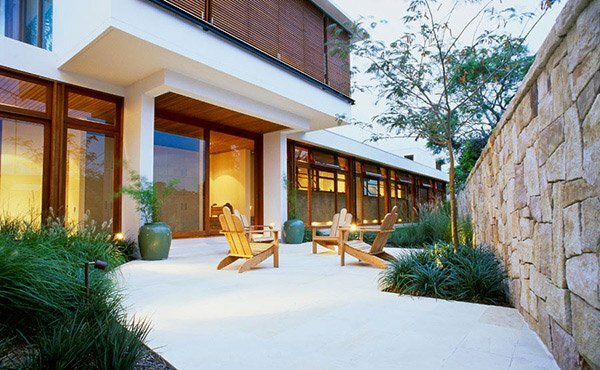 There are also modern gardens to match with these modern homes. 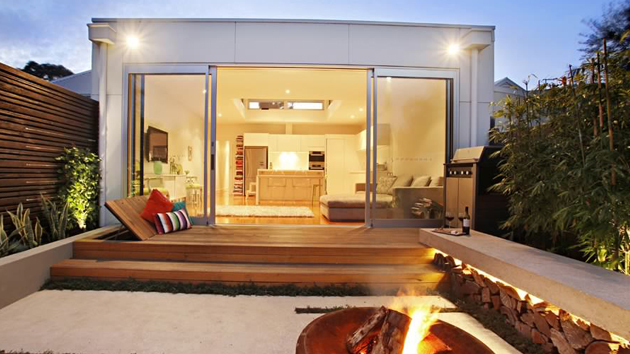 Today we will be showing you some modern garden designs. 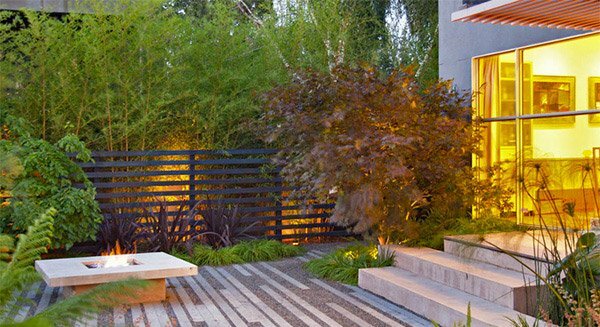 When we speak of modern gardens, it make use more of concrete, timber, rocks, and lights. 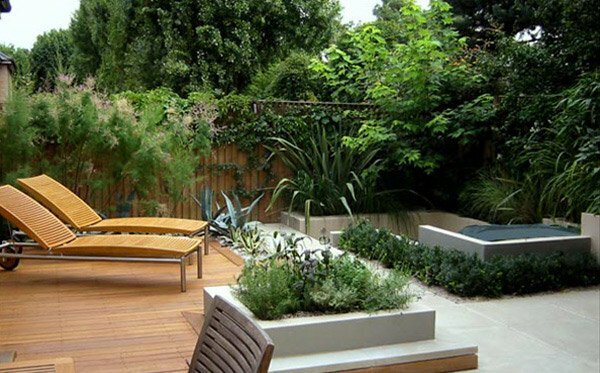 The use of plants is minimal giving more area for function and leaving enough space in order to do some outdoor activities. Now, so you will have an idea as to what modern gardens will look like, scroll down and check on our collection. How do you like the beauty of this outdoor scene? 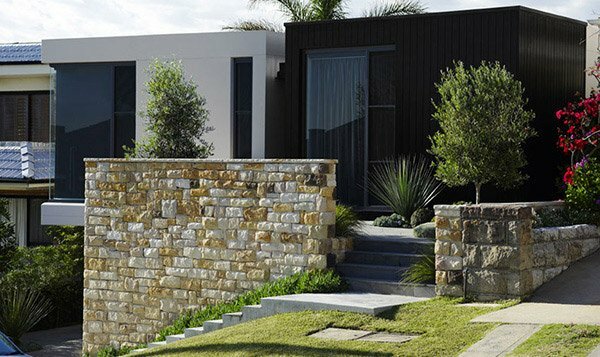 The modern home’s look was extended in its landscape with a modern design. 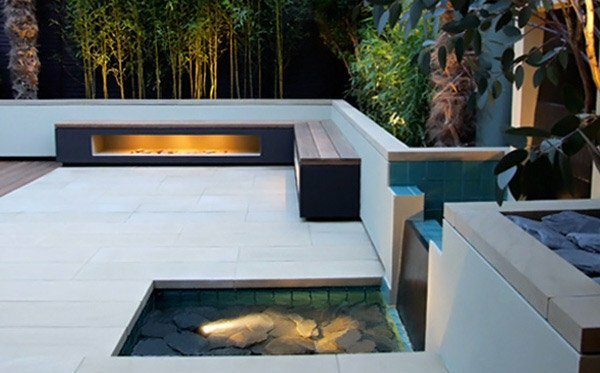 Good usage of light and a water feature sure made this garden design look so modern and dramatic. A small area can still look stunning with smooth pavement and stone covered wall. 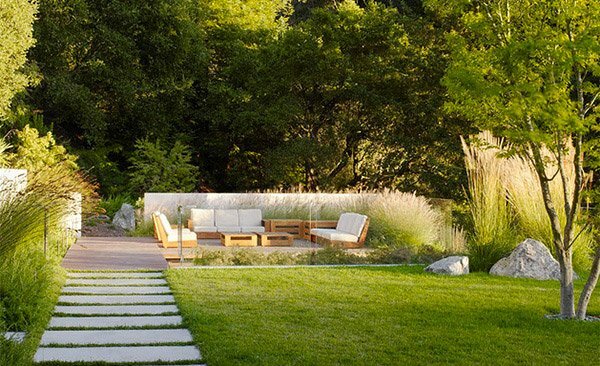 The minimal use of plants and the seating area also add appeal to the garden. The pool area is a great place to relax and unwind. It would even be more relaxing if the landscape is as simple yet stunning as this one. Dry packed stone walling was here which added life not just to the exterior of the home but also the landscape. Ground cover plants were used with a variety of shrubs. Check out this landscape. They have used many kinds of plants and the ground was covered with concrete and pebbles done in a creative manner. The lights also played a great role especially with the concrete pit for the fire. Merely arranging the patio this way already added beauty to the outdoors’s look. 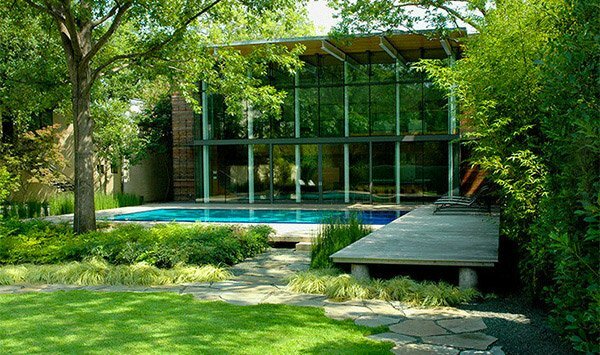 A private seating area enclosed in glass looking so comfortable and relaxing with all the plants around it and the simple landscaping. 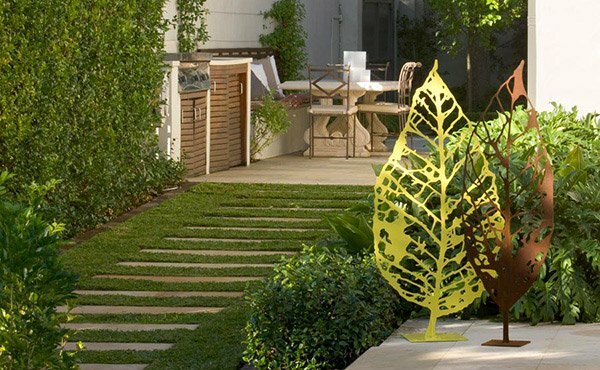 These pair of metal leaf sculptures are just one of the highlights of this modern garden. You will still see so much of its beauty once you get the chance to check on more of its angles. Man’s eye view or bird’s eye view- the design really look beautiful. The combination of concrete and timber pavement made all the difference. One of our favorite designs because of its usage of timber and concrete. The distribution of stones, gravel and ground cover is very stunning. 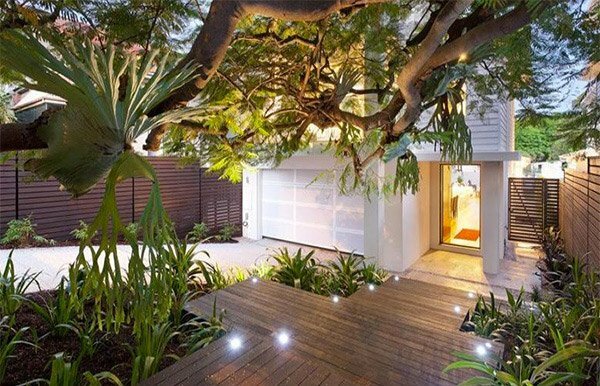 This is a garden enclosed in the outdoor area of a home. 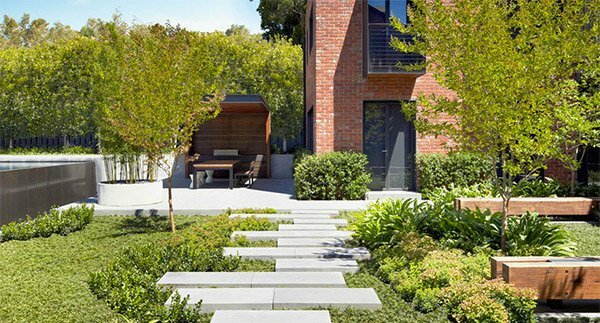 The modern touches of this garden is just right for the entire look of the house. 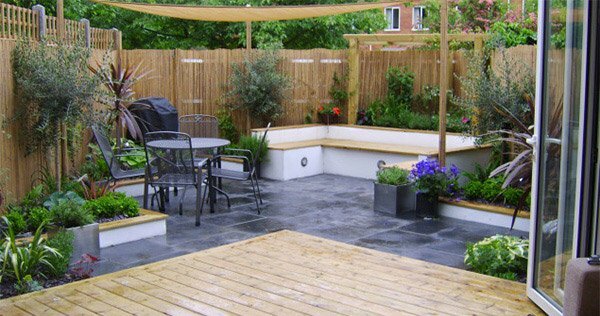 A water feature and a seating area for this modern garden made a stunning combination. 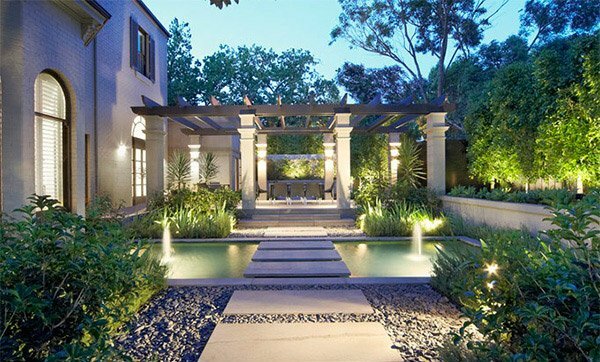 A whimsical garden with a pergola that made it look so romantic especially with the water features and lights in it. 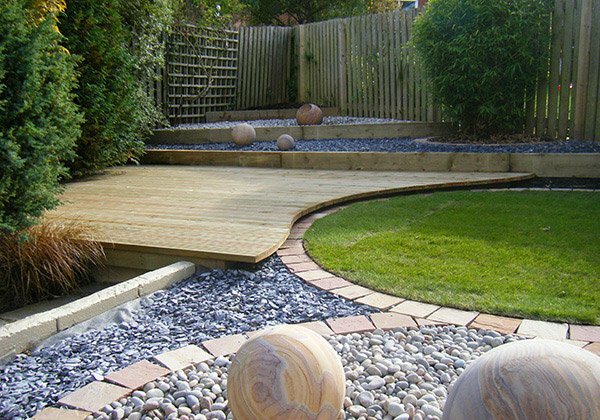 Timber is the main material used in this garden. Look at how amazing it appeared with the lights and plants in it. 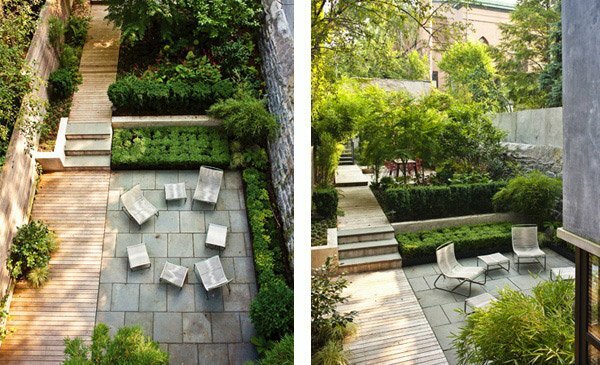 The modern gardens you just saw are really smartly designed because you can notice that not all spaces are huge. Even small spaces looked beautiful with the modern touches using concrete, timber, stones and plants. But if you like a different garden type, you can check on Japanese gardens or roof gardens. These might also suit your taste.